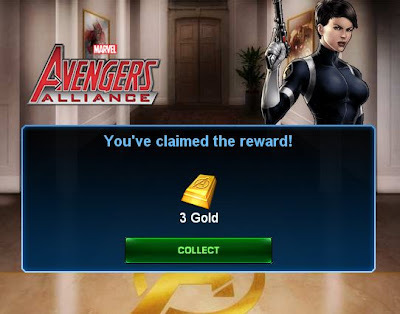 ooh neato: Marvel Avengers Alliance: Free 3 Gold! Marvel Avengers Alliance: Free 3 Gold! Get it while it's hot: Playdom just posted a link for 3 free gold on the Marvel Avengers Alliance Facebook page.